America is among the prominent English-speaking nations whose rich linguistic heritage is widely documented. As such, it is expected that any terminology relating to the nation itself, its people or speech should adhere to strict grammatical rules. The simplest answer is yes since American, even when used as an adjective, is referencing a proper noun. However, before any explanation is provided, it is wise to explore which parts of speech the term pertains to as it will facilitate understanding. Nouns are names of places, people and things, we all know that. The term “American” can be used as a noun and a proper noun for that matter. For example, if we say: “The American has just arrived,’ The word ‘American’ represents nationality. Rules of grammar place nationality under proper nouns. The term can just as well be replaced with a real name such as Donald, James or Sarah. This, therefore, forms one of the bases to why the word “American” should be capitalized. Any word that modifies a noun is known as an adjective. They come before a noun and are used to give more information about the noun. The term “American” not only plays the role of a noun but can also be an adjective. For instance: “The American Currency is quite stable.” The noun, in this case, is the word Currency. However, once we add American to the sentence, then the currency is awarded an identity, an American one to be precise. Thus, the word American modifies the currency as a proper adjective. 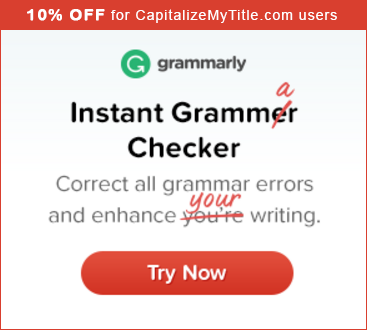 As per the rules of capitalization, proper adjectives should also be capitalized. Generally, no matter what part of speech the term “American” represents, it should always be capitalized. I will leave you with the following two examples of how the word can be used as both a proper noun and proper adjective. Noun: Every eligible American should register as a voter. Adj: JFK is an American Airport. Previous articleShould State Names Be Capitalized?